The black ash ‘charcoal’ has now found an important place in cosmetics. Previously, it was used in industries and various medical treatment to absorb toxins from blood. It has got great absorbing power which helps in reducing toxins and other impurities. This important property of charcoal is now used by cosmetic industry in various hair care and skin care products. 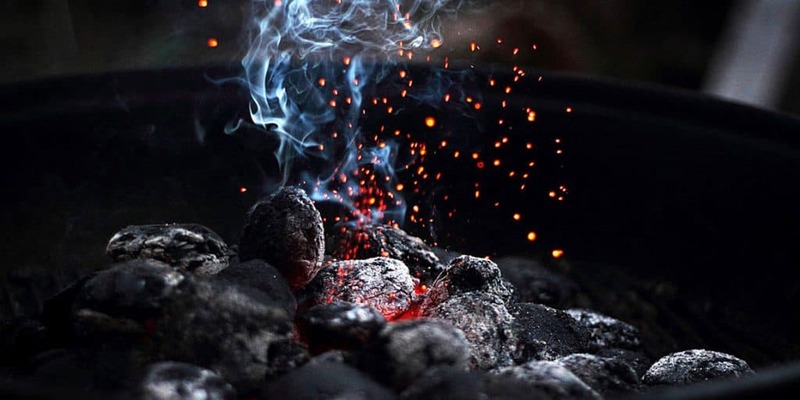 The prefix ‘activated’ when used with charcoal implies, that its absorbing power is quite high. Let’s dig it deep and find various effective Charcoal cosmetic products that have promising results. Instead of picking a normal soap why not try a charcoal based soap which could effectively clean your skin. Charcoal has so many benefits including it’s ability to get inside the pores and draw out the dirt and oils that are blocking it. Using charcoal bar consistently can effectively eliminate acne, bumps and blackheads. The charcoal soap is also a great body bar for an all over skin detox, as well as a wonderful soap for your hands too. Activated Charcoal has cleansing properties like no other. 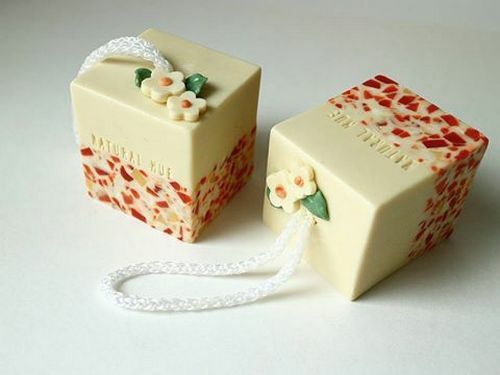 It binds with all the dirt lodged in the pores of your skin and cleans the pores completely. This makes the skin appear tighter and acne free. 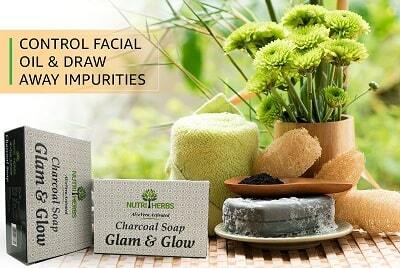 Activated charcoal helps in deep cleaning which is very important for skin health. For people with an active lifestyle, prone to the rigors of pollution, dust and grime, the Nutriherbs Activated Charcoal Soap, is definetly the best cleanser ever. Plaque and stains are one of the biggest concern of everyone and charcoal based toothpaste can work wonder on it. Blackwood has been specially created for those who desire fresh breath combined with gentle whitening from their toothpaste. It contains a cutting-edge combination of active ingredients that remove plaque formations and prevent them from re-occurring. Charcoal, the ingredient that gives blackwood its black color, whitens and absorbs smells and stains to leave your teeth feeling crispy clean. It has multiple utility as you can mix it with your face pack, hair pack or toothpaste to clean your skin, hair and teeth. Whiten your teeth and keep your mouth healthy. Add a little activated charcoal powder to your toothpaste to remove stains and get relief minor gum problems. Keep your skin and hair healthy and fresh. Mix a scoop of charcoal powder with coconut or other oil and a little water for a soothing face mask or a cream for your skin and hair. Help with digestion. Mix in your favourite drink to help with digestion and to reduce gas and bloating. Mix with water and apply to skin to ease pain and itching. You can also take this charcoal powder with water after accidental poisoning or overdose. Face wash with activated charcoal powder makes great face cleanser. Activated charcoal face washes help removing the toxins by drawing out and trapping these impurities. Releasing dirt from the clogged pores to breathe life into your skin again. It also works as natural exfoliator to remove dead skin cells, with antimicrobial properties that help prevent skin infections. It gently hydrates and refreshes the skin using natural ingredients like coconut oil, orange peel oil and aloe vera gel extracts to provide nutrients that balance the skin. 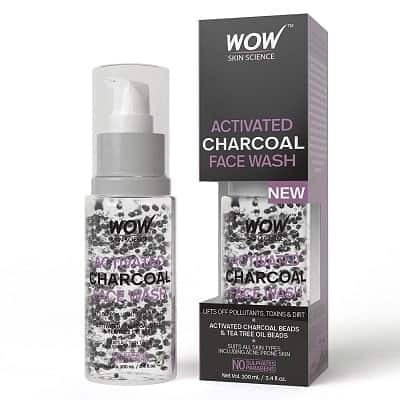 Wow activated charcoal face wash is a nourishing clear gel that contains tiny black beads filled with activated charcoal and tiny green beads filled with tea tree essential oil. These beads burst gently on lathering and start their purpose of trapping pollutants, toxins, dirt and impurities which is done by the black beads containing activated charcoal. The green beads which contain the tea tree essential oil disinfects, heals and soothes the skin. A clear hair scalp leads to healthy tresses. 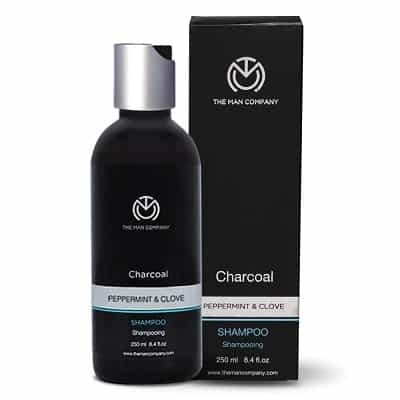 A powerful combination of pepper mint and clove essential oil on an activated charcoal base, in the form of a shampoo can provide multiple benefits to the hair. It will help you eliminate dandruff and lice from your scalp. It can also improve frizzy hair and may contribute to hair growth too. Acts like a hair conditioner and offers relief from anxiety. Pepper mint oil helps in cooling the skin and eliminates dandruff and lice from the scalp. Clove oil treats and removes acne. It carries antioxidant properties, treats rashes and offers relief and anxiety. It also prevents hair loss and acts as a conditioner to your hair. Activated charcoal is a master product. 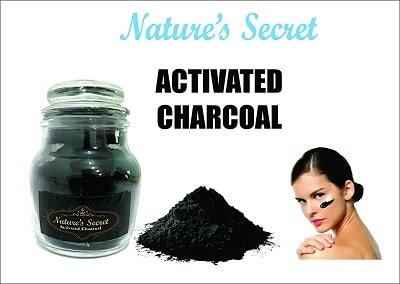 Charcoal is a tried and tested cleansing ingredient, known for its unique ability to draw out toxins from the body. Its anti-bacterial properties not only kill germs but also exfoliate your scalp. It adds volume to your hair and is a remedy for oily scalp conditions. 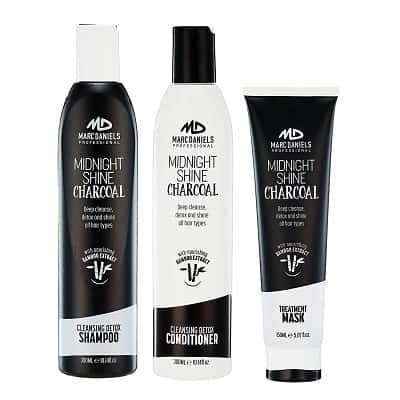 You can rely on this complete hair kit with activated charcoal. 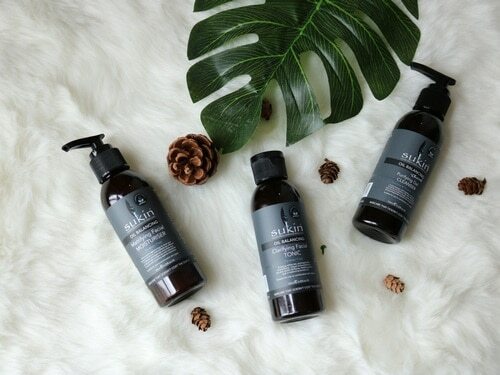 Activated Charcoal clarifying shampoo, conditioner and hair mask treatment are infused with organic charcoal and bamboo extract, working to cleanse and detoxify both the hair and scalp. It also nourishes and protects your hair for a clean, healthy, shiny finish. Marc Daniels PROFESSIONAL clarifying shampoo, conditioner ” hair mask treatment work on all hair colors, including color treated hair. It cleanses all hair textures including straight hair, thin or brittle hair, curly, frizzy, or coarse hair, and is ideal for Hispanic or Asian hair. It soothes dandruff, redness, oily and itchy scalps. Charcoal hair mask is perfect for both men and women. It’s great for swimmers whose hair has frequent exposure to chlorine and athletes who have sweaty, salty buildup that dries out the hair, and erodes the color in color-treated hair. 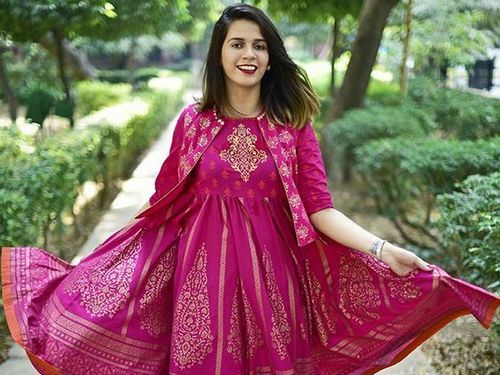 Hair products and environmental pollution can cause long-term damage to your hair, making your hair look weighted down, dull, and lifeless. 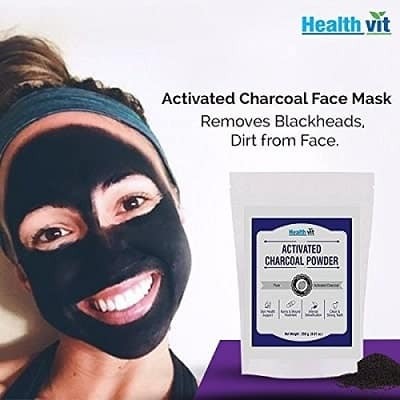 For people whose major concern is to detoxify their skin from everyday pollution, activated charcoal face mask is the best solution. 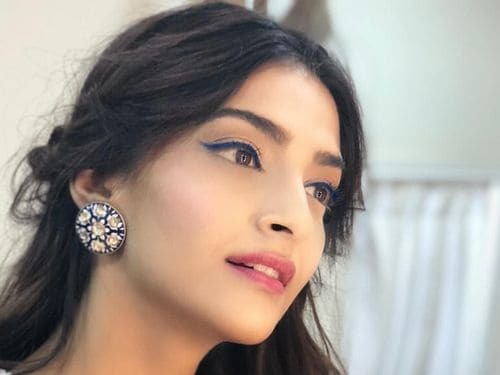 If pollution, smoke, fuel exhausts and dust are robbing your skin’s glow day after day. 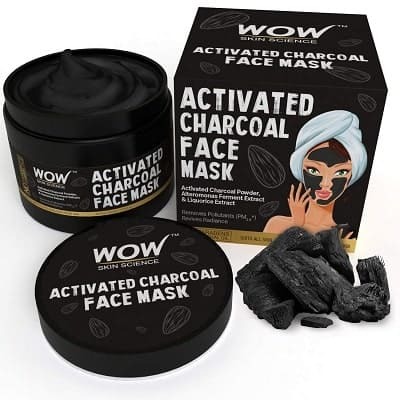 Revive it with advanced anti-pollution care of wow skin science activated charcoal face mask. It is enriched with activated charcoal powder, liquorice extract and alteromonas ferment extract from French Polynesian sea waters. The face mask gently removes pollution particles, impurities, dust and dead cells from the skin to leave it looking fabulously clean, smooth and glowy. Why use activated charcoal powder. Whiten your teeth and keep your mouth healthy. Add a little activated charcoal powder to your toothpaste every day to remove stains and for minor mouth pain. Keep your skin and hair healthy and fresh. Mix a scoop of charcoal powder with coconut or other oil and a little water for a soothing face mask or a cream for your skin and hair. Help with digestion. Mix in your favorite drink to help with digestion and to reduce gas and bloating. 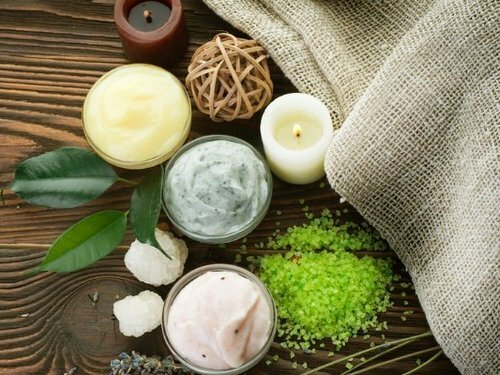 Bites, burns, mix with water and apply to skin to ease pain and itching. Accidental poisoning. Take with water after accidental poisoning or overdose. Dirt and pollution often cause our skin to become dull and lifeless. This face mask from Old Tree which has been enriched with several active ingredients to protect and nourish your skin. Activated charcoal comes together with the goodness of liquorice and Alteromonas Ferment extracts to clean your skin from deep within. This mask gets rid of tiny pollution particles which can damage your skin and protects you from harmful free radicals. Other than skin use, this activated charcoal can be used to brush your teeth for teeth whitening and treating mouth pains. It can also be consumed as a remedy for hangover and improving digestion. Pamper your delicate tresses with goodness of activated Charcoal cosmetic products. 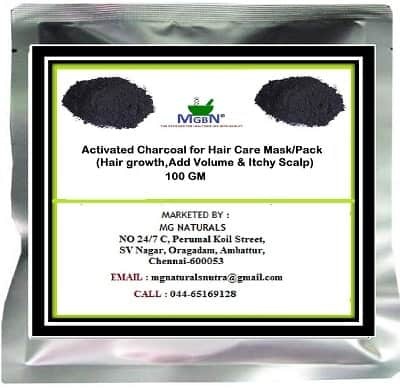 Activated Charcoal cosmetic products for Hair Care Mask add volume and treats itchy scalp. There are numerous ways of incorporating activated charcoal in your hair care routine. The easiest way is to use activated charcoal induced products. But, you can also use it as a hair scrub. 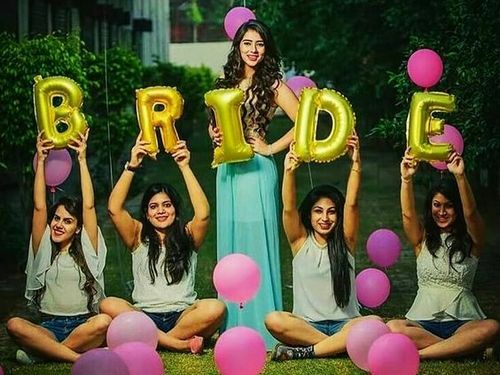 Mix two tbsp. activated charcoal powder with some coconut oil and massage it on your scalp. Keep it on for about 20 minutes and wash it off. Remember, that using activated charcoal can be quite a messy procedure. 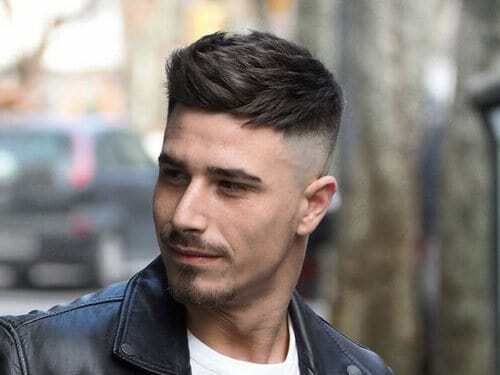 If you have bleached, light colored hair, make sure you wash off all the charcoal off your hair at least twice to avoid the dark colour to show. 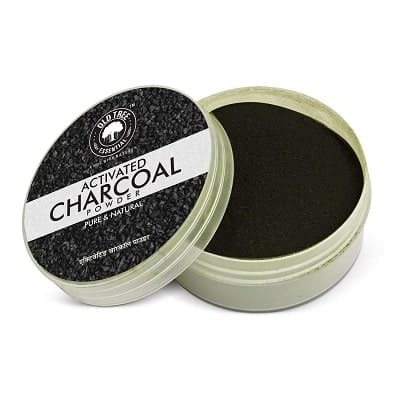 These activated Charcoal cosmetic products are worth giving a try. Do share with us your experience with activated charcoal products.